2.3 million traditional acupuncture treatments are carried out in the UK each year, which makes it one of the most popular complementary therapies. In my experience, people come for acupuncture because they are concerned about the side effects of drugs and surgery, and are looking for a more natural alternative. 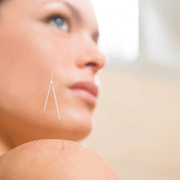 Acupuncture is ideal, as it is such a versatile treatment for a wide range of conditions and illnesses, and also great for maintaining overall health and well-being. 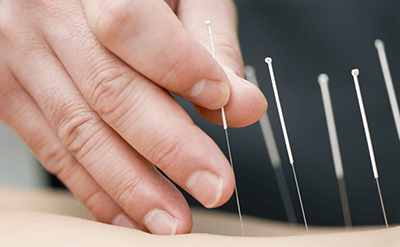 Research published in the May 30, 2010 online edition of Nature Neuroscience demonstrated that acupuncture influences the activity of adenosine, an amino acid which becomes active in the skin after an injury to ease pain. This is backed up by a number of studies showing that acupuncture is effective for pain relief of all kinds. Other brain-scan experiments also show intriguing results, for instance, acupuncture on the point Ht5 (tongli) on the forearm results in activation of language related areas of the brain, which explains why this point is traditionally used for speech disorders. 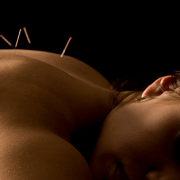 In Chinese terms, acupuncture works primarily by regulating the flow of Qi around the body. It’s all about balance – with the whole of the body and mind seen as one system with many interacting parts. Acupuncture helps to restore the smooth communication between these parts, and restores the dynamic harmony of the system. Illness is seen as either a blockage or interruption to the flow of Qi, or a weakness of Qi. 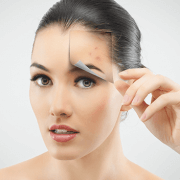 Acupuncture can help to remedy both situations, and is particularly effective as clearing blockages. Because of its wide ranging effects, both in the immediate area it’s applied to, the brain, and also on the whole system, there are many conditions that can respond well to acupuncture treatment. In my Bristol acupuncture clinic, I see a lot of different types of pain – from injury, posture, arthritis, neuralgia (nerve pain) and many other causes. 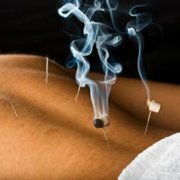 Acupuncture treatment normally works extremely well. It’s not just for the women, though – acupuncture is great for men’s health, including male fertility and prostate problems, for instance. And then we can move to the mental and emotional sphere, with acupuncture showing benefits for stress, anxiety, depression, and other psychological conditions. Not to mention asthma, fatigue, IBS and other digestive problems, TMJ, skin conditions such as acne, prolapse, insomnia, and more! There are various different styles of acupuncture, but if you’re looking for a whole-person, holistic treatment then the key difference is between ‘traditional acupuncture’ (as practiced in China) and ‘medical acupuncture’, which is the modern Western version carried out by some chiropractors, physios and other Western trained medical professionals.